It's Pokemon Go fever... as I look out of my window at a park I can see about a dozen players wandering form Pokestop to Pokestop. As with Ingress, the battery drain on the app is pretty significant, not something you can easily overlook so you're going to need a spare battery to go with you (unless you get the LG X Power I showed the previous day). And then, unlike Ingress, going portal to portal, you go stop to stop, but also follow the audio cues to get close enough to a Pokemon, so you may find yourself going a little off road. So what you bring with you should be resilient. 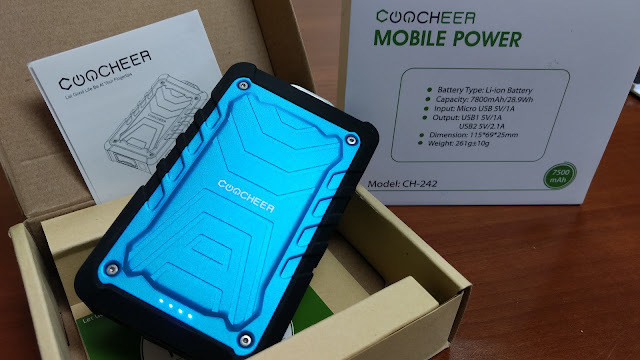 Coocheer has the battery you're looking for then. 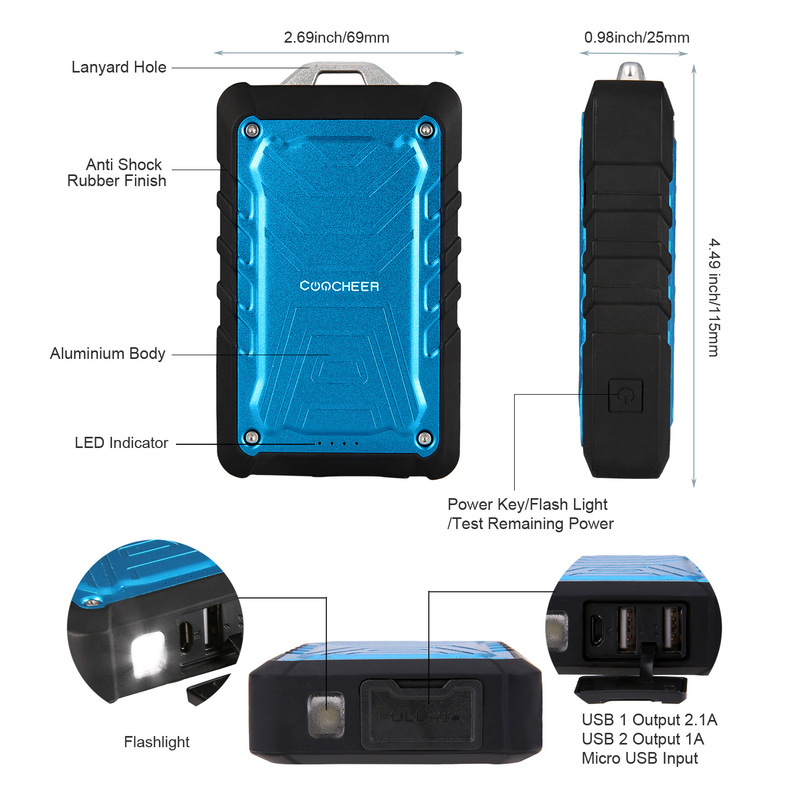 7500mAh for a lot of power, and it's rugged and water resistant. I have the sense that I could have it take a tumble down a hill searching for a wild Raichu and still be okay to give me the power needed to capture it. It does have a rubberized look to it and it is stated as water resistant, however, just watch out about that flap... I'm not sure it will still be as resistant if the flap was open (and your phone plugged in) and dropped in water while looking for a Vaporean. (note: it doesn't give an IP rating tho'). Under that flap you'll see the spot to plug in the microUSB to charge the device up and 2 USB ports (one is 1A, with a single lightning bolt, and then the other is 2.1A, which has 2 lightning bolts). In the packaging you get a short little microUSB cable which you can use as either charging up or out... and it's nice that you get a second port so that while you and a friend are trying to take down a gym you'll both have the juice necessary (because we all know it takes a while to pick away at the gym's reputation). Next to the flap you see the flashlight... neat. Because you'll probably going out to these stops and gyms sometimes later at night (I hear that sometimes those ghost types only come out at night). To activate the flashlight, you'll have to long press on the power button. Also note that you can turn on and off the charging circuit with that button. Normally you hit it to turn it on, and then it will eventually turn off on its own if there's nothing connected still, I've not seen one where pressing the button turns it off. Overall, for only $24USD (or $30CDN) it's a pretty decent deal, even if it wasn't a ruggedized version. I think every trainer should keep one next to their pokedex.